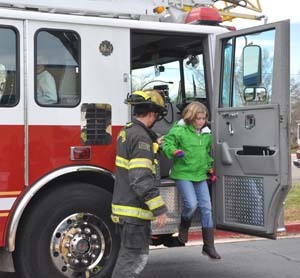 That is what 9-year-old Carly Rafferty had to say about getting a ride to school in a Berthoud fire truck. 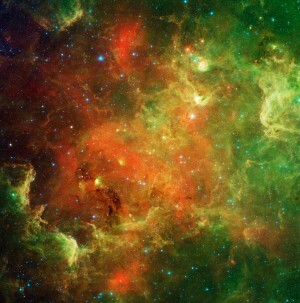 Carly’s father and mother treated their three children to a dream adventure. Wayne and Tiffany Rafferty purchased this gift for their children at the Berthoud Habitat for Humanity Hoedown. The ride in the fire engine was one of many exciting silent auctions items at the gala and Rafferty had to make several bids to secure this prize. 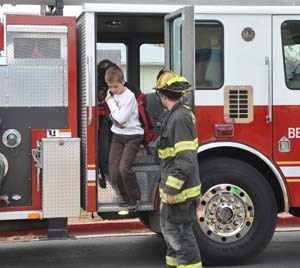 Friday morning was the big day as the big red fire engine picked the kids up at their home and took them to school at Berthoud Elementary. Six-year-old Katie and 11-year-old Jake Rafferty sat in the engine’s crew cab and listened on the headsets. Carly sat in the front and got to push the horn button and turn on the siren. 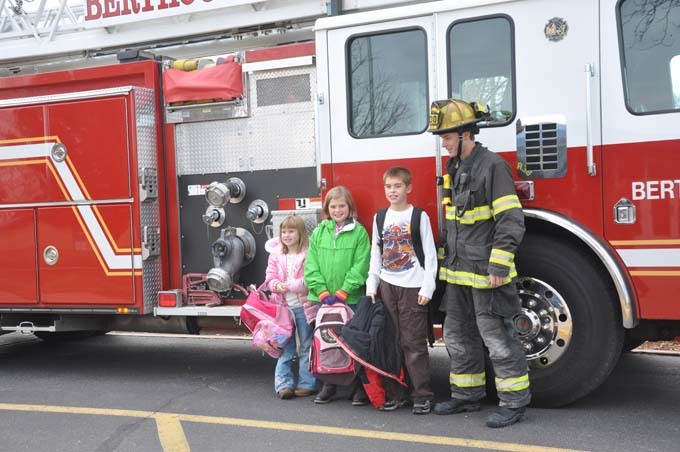 Jake, Carly and Katie all looked very excited as they got out of the fire truck and they certainly had an adventure to share with their fellow student’s at Berthoud El.